"Schools rise above the flood waters" captures the story of ADPC's program, “Reduction of Vulnerability to Floods in Thailand”, focused on Community Based Flood Risk Management (CBDRM). The program was implemented with support from USAID/OFDA. The 2011 floods in Thailand had devastating consequences across the country. 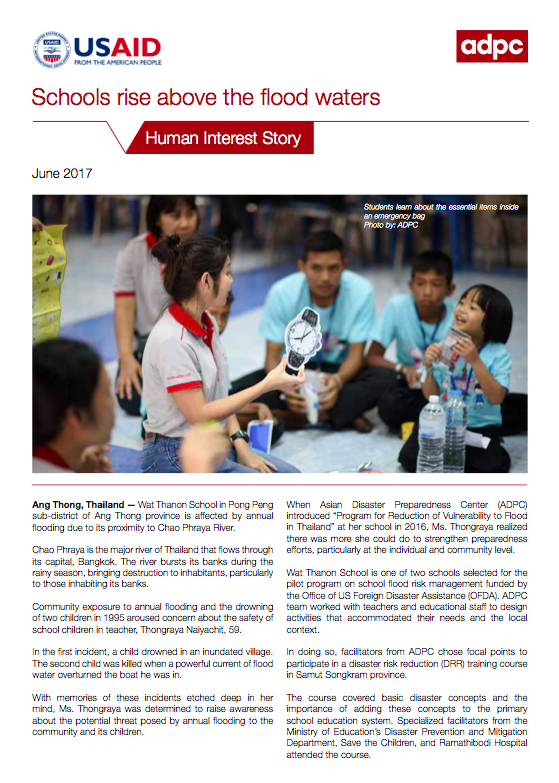 This story is about teachers and students participating in disaster risk reduction training to build flood resilient schools in Ang Thong, Thailand.